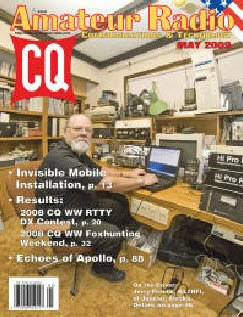 The CQ magazine in the May 2009 edition published the results of the CQWW RTTY contest held September 27+28, 2008. In this contest after a very hard job to be single operator single band 15m only i finished in the 3rd place world. The propagation don't help me and the MUF was extremelly low. For many hours the band was closed. Many thanks to all of you that you are in my contest RTTY log and help me to wone the 3rd place world with 110.875 points. See you in the next CQWW RTTY contest.